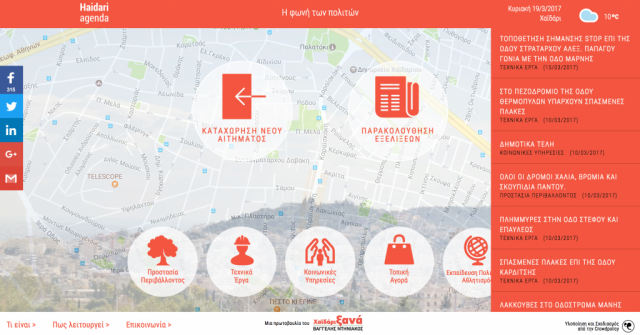 Digital information systems for the organization of operational issues of Municipalities and the promotion of participatory decision-making, open data, donation management, crowdfunding, consultations, recording of citizens’ problems and proposals etc. Advisory services for the organization of the development plan of the Municipality’s projects with the participation of citizens in the design, implementation and evaluation of actions and projects, using digital participatory systems. Development of funding opportunities offered by the E.U. and / or other resources. Innovation at local and European level. Crowdpolicy – Υπηρεσίες για Δήμους και Περιφέρειες from Crowdpolicy Download Crowdpolicy Smartcities 2017. The service Social Wi-Fi is addressed to Municipalities and Local Communities. The main objective is to build a community, which will be carried out by the citizens themselves. The technology used allows easy and immediate expansion of the network, in any direction, by simply installing and providing power to a node that is located within the reception range of the network. For example, networks that are developed in central locations of the Municipality can easily be extended to the broader area by encouraging residents or businesses to place an extension node on their balcony or terrace. The cost of each node is particularly low, it is placed easily and no adjustments are needed. The development of the network “Social WiFi” in a Municipality can, through the involvement of the citizens in its operation and expansion, contribute to the strengthening of local entrepreneurship, since new entrepreneurs can use and extend the “Social WiFi” technology locally and create new innovation and technology businesses, which will lead to the creation of new jobs and the development of the local economy. It is an appropriately designed digital platform for organizing and conducting Public Consultations on the projects and actions of the Municipality as well as evaluating and prioritizing them both by the Municipality and the citizens, through their active involvement. Through the Consultation platform, the Municipality promotes and strengthens the involvement of citizens and all kinds of bodies, the rationale of co-shaping actions that make up its strategy, while at the same time, it supports collective decision-making on the design and implementation of actions. The online platform is based on innovative and participatory technologies (Crowdapps) that promote the active involvement of citizens and collective bodies at local level. This is why the Municipality launches the participatory Consultation Mechanism and invites all stakeholders to participate. The platform invites all interested citizens, the residents of the Municipality as well as collective bodies to submit their views on the projects and actions that are proposed by the Municipality or propose their own ideas on projects to be implemented. In addition to proposing ideas, the users of the platform have the opportunity to comment on the already posted proposals in order to start a constructive dialogue on various topics concerning the Municipality and the services it provides to the residents. In addition, the Consultation platform serves as the main tool for shaping the Developmental Projects and Actions Program for the current Programming Period 2015 – 2020 and the broader strategic planning. Crowdpolicy designs and implements an online platform that will provide the opportunity of monitoring the actions carried out by the Municipality and offering donations in money or in kind to the Municipality for the support and financing of its activities. The Crowdfunding platform promotes the participatory and active support of the Municipality by individuals and other bodies through the public display of their donations, offers and sponsorships. Residents / expatriates / private bodies can offer services. The Municipality, or Bodies of the Municipality, can publish calls for expressions of interest for sponsorships. The Municipal Council can approve the display and acceptance of donations. The platform enables the display of the financial data and results of the donations (e.g. photos from executed projects etc.). The Crowdfunding platform incorporates and presents good practices that have already been developed in the field of “crowdfunding” by other stakeholders, in order to inform the public and present relevant experiences of adopting crowdfunding tools of other Bodies and the effectiveness of their results. You write on a post it. Once it is approved, it is displayed on the page. The page is full when there are lots of post it. 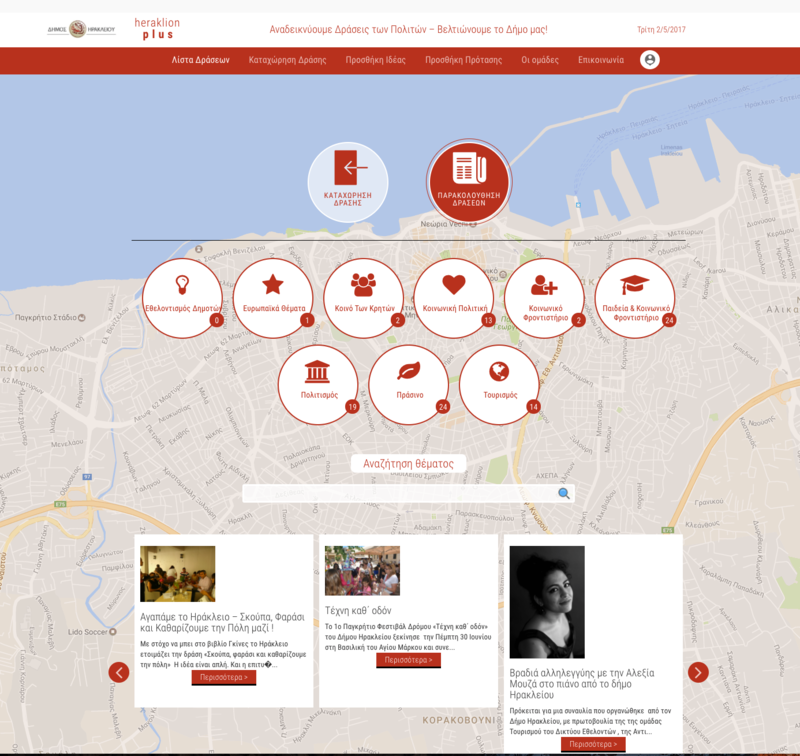 The main feature of the platform is the immediate and easy gathering of ideas and suggestions that the Municipality or local communities of citizens wish to collect in a unique way that is familiar to all ages. So, instead of submitting a request to a specific service of the Municipality, they can create a post it on a specific issue. The idea of directly submitting “IDEAS” on behalf of the citizens regarding the changes they wish to see in their area is done in an original, easy, playful manner and allows citizens to participate in the changes and decisions of the Municipality (gamification). It encourages discussion and the engagement of citizens through “everyday tasks’ notes” on post it! Meanwhile, the platform incorporates mechanisms for evaluating and promoting the best ideas. At the end of the process, a consultation on the best ideas selected based on rating takes place and the best idea is rewarded. It is a digital platform through which citizens can report in real time through their computer or mobile phone any problems they detect in their area or elsewhere in the Municipality (e.g. road faults – potholes, cleanliness issues or damage caused to the Municipal property etc.) or propose ideas regarding the common public space. The platform supports the provision of information and sending of requests through a Chatbot as it uses the botakis network of Crowdpolicy. 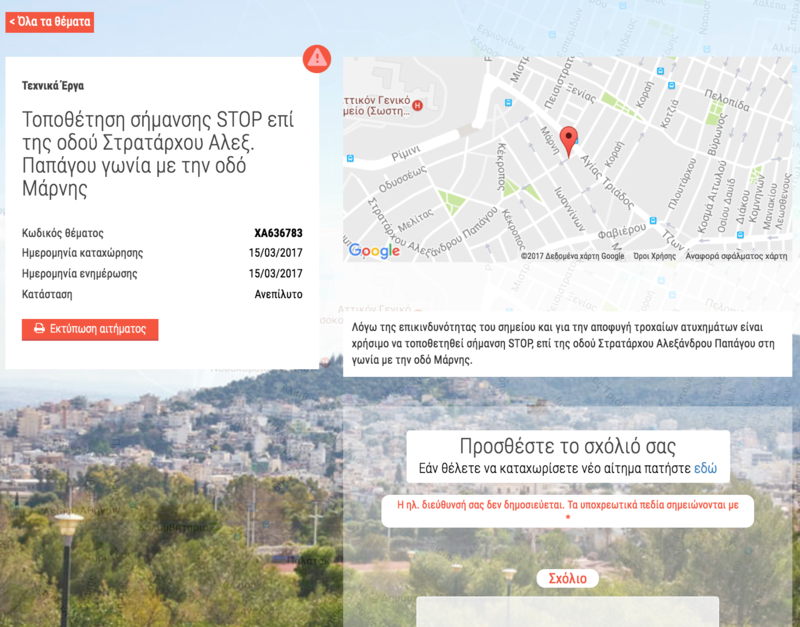 The proposals can be depicted on the map of the area and citizens have the possibility of voting and / or commenting on them. There is a special management environment for the services of the Municipality and the Mayor’s Office. In recent years, an attempt has been made to make Public Administration more open, focusing on providing services to citizens and businesses by making open data available (opendata). Open data aims to increase transparency, contribute to the creation of a single European information market, create new services and, consequently, more jobs. The availability of the open data of the Municipality with emphasis placed on financial data. 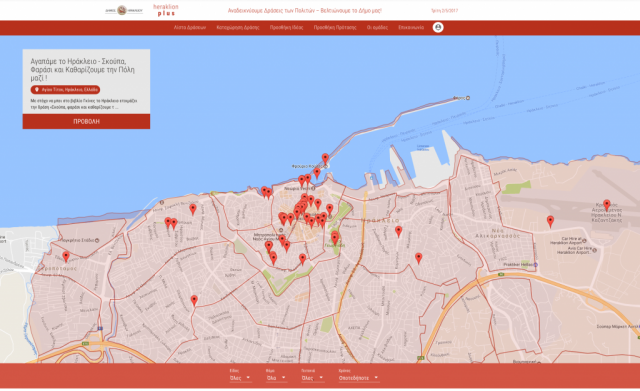 The publication of open data sets such as geographic data, touristic points of interest, archaeological sites, municipal transport and other data provided by the Municipality. The creation of an open data community by the private sector and members of civil society. The creation of good practices at national and European level. 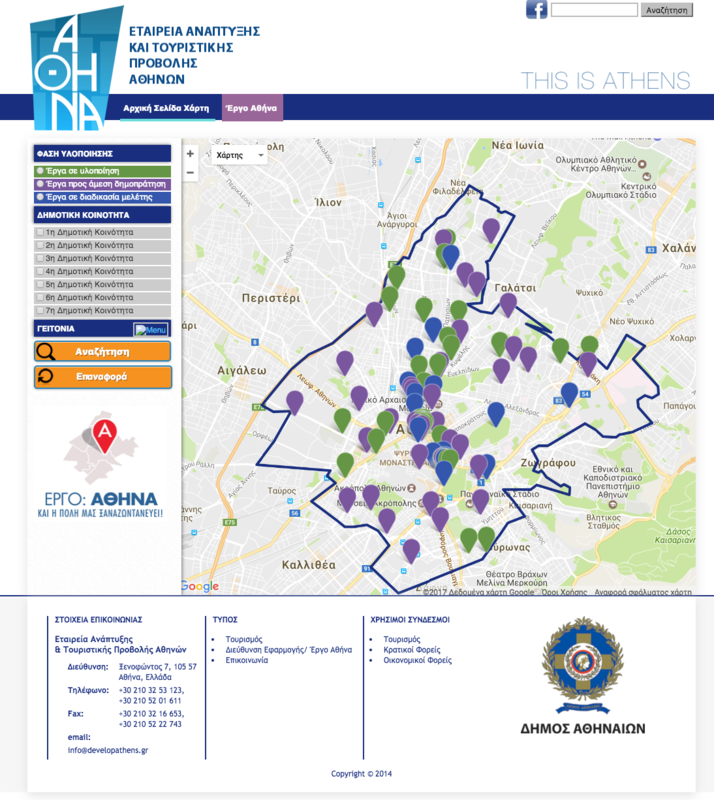 The open data platform O-Engine of Crowdpolicy provides the possibility of presenting open data from existing information systems of the Municipality (e.g. accounting system, budget) and enables open data sets to be made available (open data sets files). The Bill of the Ministry of Administrative Reform and e-Government establishes by definition the principle of open access to and use of public information. The new law on public data availability (4305 – 237 A’/31.10.2014) gives public sector the possibility to provide its data freely or with subscription to interested citizens, collective bodies, social partners and businesses. At Crowdpolicy we believe in the dynamics of public data exploitation for the reinforcement of digital economy and national economy as a whole. Moreover, public sector has a unique opportunity to effectively take advantage of its wealth of information and reflect the value it generates in society within the framework of open governance principles. You can download more information here. 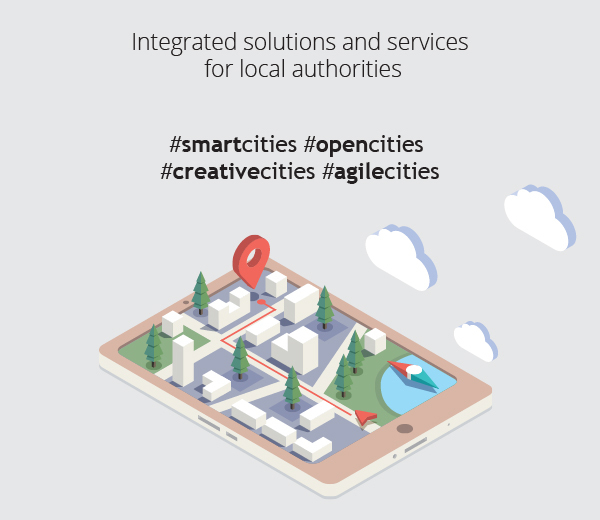 The platform of Crowdpolicy Projects on the map is a modern geographical information system for the effective management and visualization of the Municipality’s projects and actions. 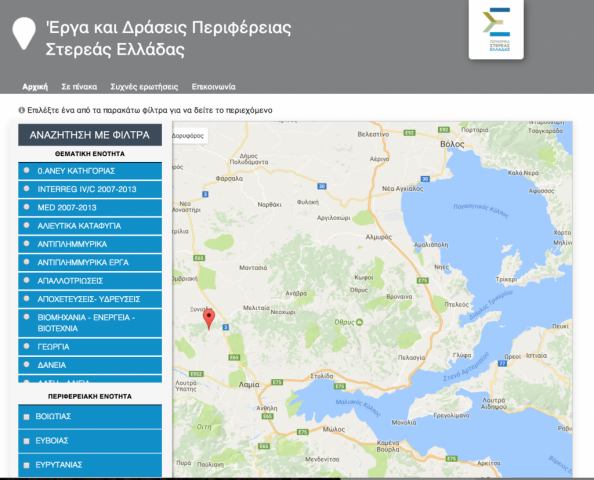 The geographical information and data on the progress of the civil engineering works (e.g. redevelopment, road construction, pedestrianization, green areas, school buildings, sewerage, electrical lighting, monuments, studies on the siting of buildings, seasonal projects etc.) and the actions (social, economic, educational, tourism, business, etc.) of the Municipality are depicted on this digital platform. The system includes two subsystems for depicting the projects and actions of the Municipality: internal (G-Internal) and external (G-External). The former is addressed to the Municipality’s officials for internal use and the latter is addressed to the general public and provides data on the projects and actions selected by the Municipality. There is a common database for both which already includes data registered in the database of the Municipality, as well as data obtained from on-site entries by users. G-External has the role of promoting the project, it is accessible to the general public and aims to inform people about the projects and actions of the Municipality. The details on the projects and actions selected are available on the platform and stakeholders can keep up to date with the projects that are planned or carried out in their area or any location they are interested in and they can rate (star rating from 1 to 5 – 1 = poor, 5 = excellent, and the average rating of the project will progressively appear, depending on how many users have rated it) and comment on (regarding commenting, the administrator will be responsible for approving the comments so as to prevent malicious and offensive messages from being displayed on the platform) these projects and actions. 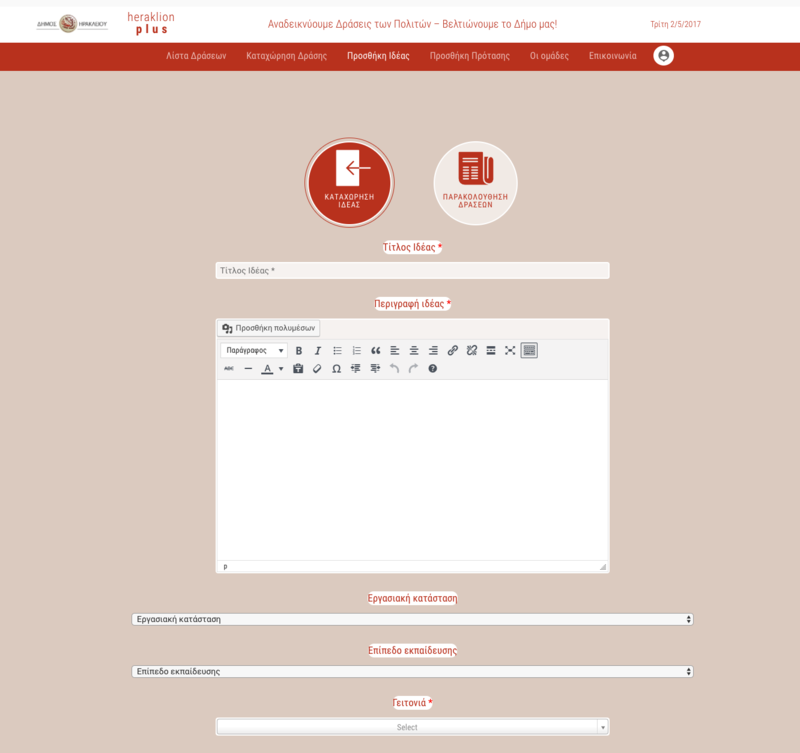 They can also track the progress of selected projects (through the list “my favorite works” that they can create) and keep up to date with any new project in their area or other point of interest they have selected through the geo-alerting functionality (there is a mechanism that alerts the users by sending them an e-mail). It is a modern structure to support local development that consists of digital (specific websites to support actions and horizontal applications) and physical existence (creation of a group/groups to support local actions and a coordination group). 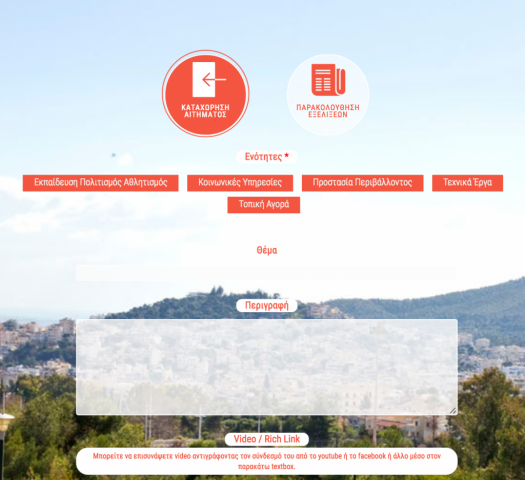 We are creating an online platform (like the cutting-edge platform synathina.gr) that enables the Municipality to support, facilitate and highlight the groups of active citizens that have already improved their quality of life through their actions (volunteering etc) as well as encourage citizens to form such groups. Visualization of geographical information for the social work produced by the Municipality’s structures at neighborhood and service level (e.g. social welfare, support to vulnerable social groups, etc.). City Plus is an online platform through which the Municipality can map the creative activity that takes place within the city and the geographical data regarding the social work projects produced by the Municipality’s structures at neighborhood and service level such as social welfare, support for vulnerable social groups etc. The platform has been successfully implemented in the past for the Municipality of Athens through the action “συνΑθηνά” which won an international award of € 1,000,000 in order to be further developed (see the related link here ). In addition, the events of the city as well as suggestions and / or problems that citizens wish to highlight are recorded on the platform. The mapping of the creative activity within the city. 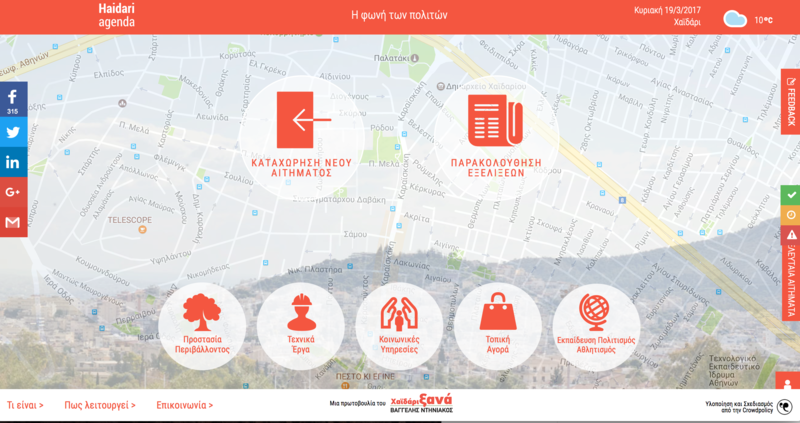 The visualization of voluntary activity within the city and recording of citizens’ groups actions. The interconnection of voluntary activity carried out by groups and organizations of citizens with the services of the Municipality. The mapping of social offer points. The presentation of citizens’ ideas and proposals. 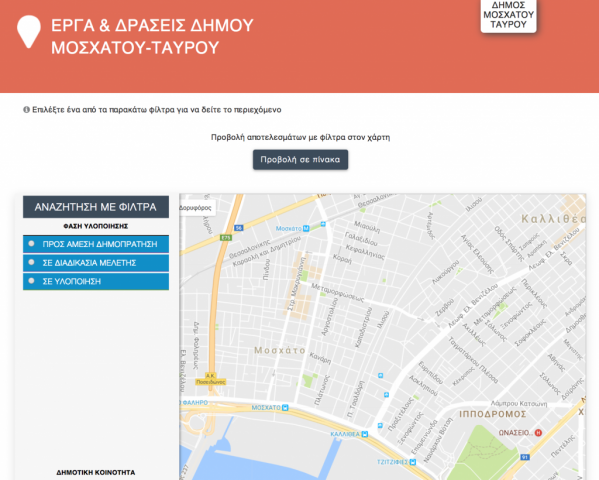 Citizens’ groups – the Civil Society (NGOs of the city). NGOs and youth organizations of the city. Young people that are members of Local Youth Councils, local organizations etc. Social enterprises of the Municipality. Any resident – citizen or visitor having an idea. Citizens’ groups are able, through a dedicated form, to register actions related to solutions and activity for the benefit of their neighborhood or city. In the same way, content is also added by the social enterprises of the Municipality as well as organizations that produce social work. Actions are placed on the map, accompanied by multiple relevant data and information. An entry can be published only when it concerns an action carried out for the common benefit. In order to be able to register an action, citizens must first complete the registration form and have their account activated. Through the platform, citizens can be informed about actions and initiatives. It is possible to locate the actions either chronologically as a list or geographically on the map, as well as search for actions using the relevant filters (such as Subject, Neighbourhood, Year). 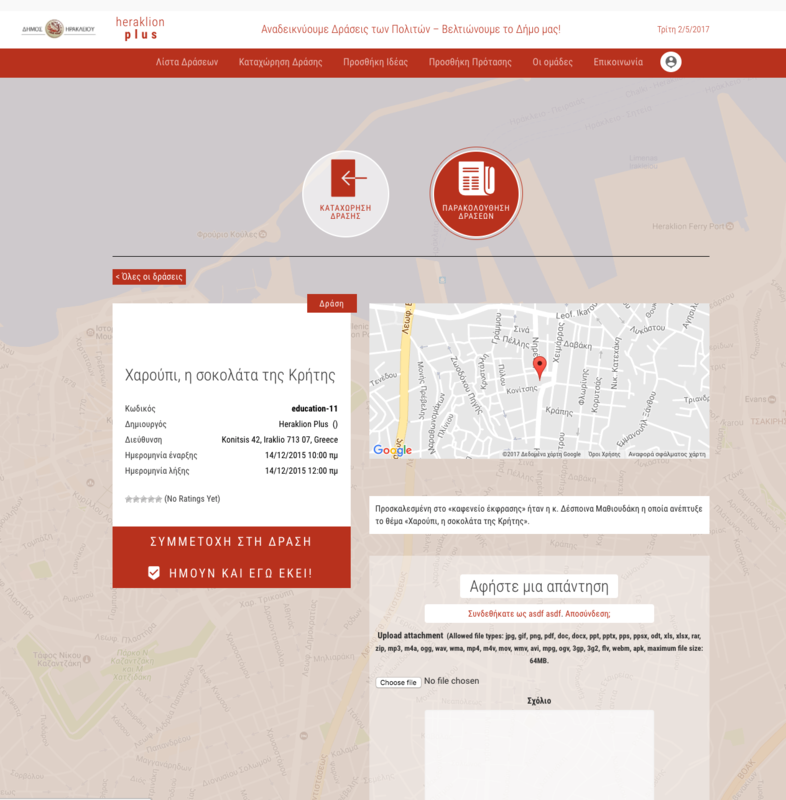 Crowdpolicy has designed and implemented heraklion plus for the Municipality of Heraklion, Crete, through which citizens and bodies submit proposals and ideas on issues related to the Municipality. 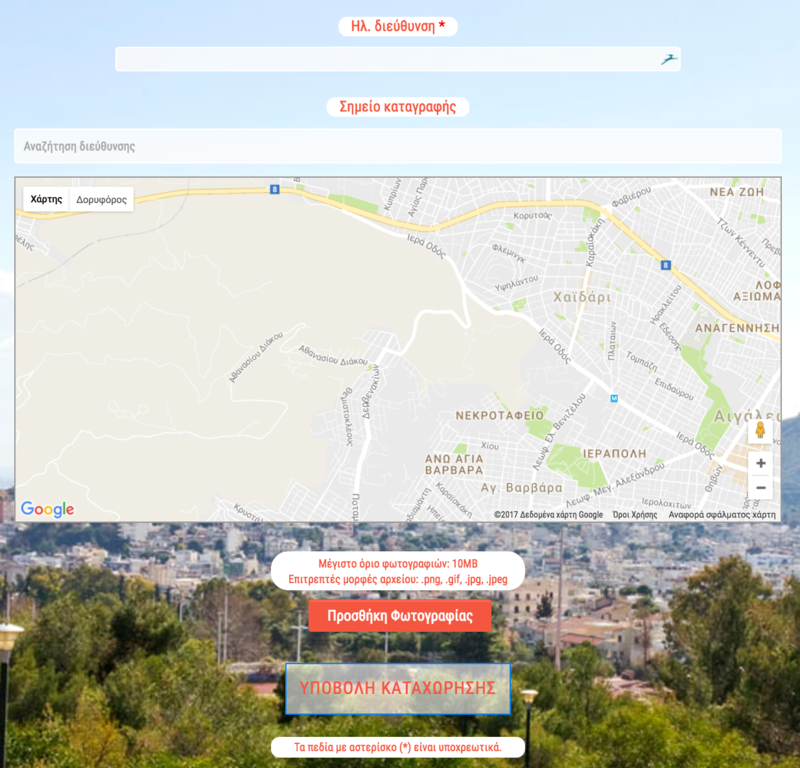 You can check out heraklion plus here. gov BOT is a chatbot that is available through the platform botakis of Crowdpolicy. Chatbots can serve citizens, businesses, and anyone else who wishes to know more about services and issues related to the Municipality and the area. Chatbots are here to create a new channel of communication, in addition to existing traditional channels such as call centers, automated voice portals, websites, ticketing systems and so on. Their main advantage is that they are smart, they resemble conversations with people, they are already “installed” on the users’ mobile phones as they run on existing written communication software such as facebook messenger, they can remember data, choices and preferences, and, in the future, they will be able to execute monetary transactions. All this results from a single natural language environment, which is already in the users’ mobile phones. Chatbots can act as an alternative means of service for the public. 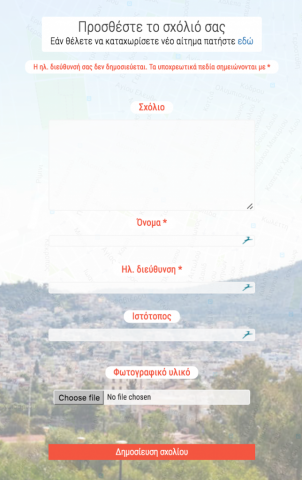 For example, without a chatbot, the user has to visit the website meteo.gr, then type and find the weather forecast according to the city they are interested in. 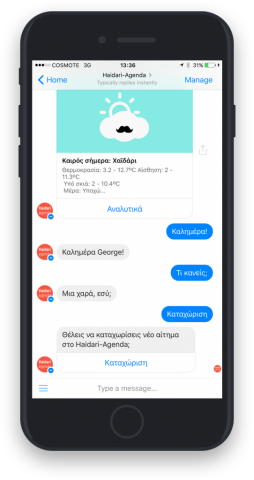 With a chatbot, the user can use the chat to ask about the current weather conditions or the weather forecast and the bot will answer the question. Similarly, instead of visiting booking.com or foursquare to find hotels, they can ask the chatbot to find hotels near their area.